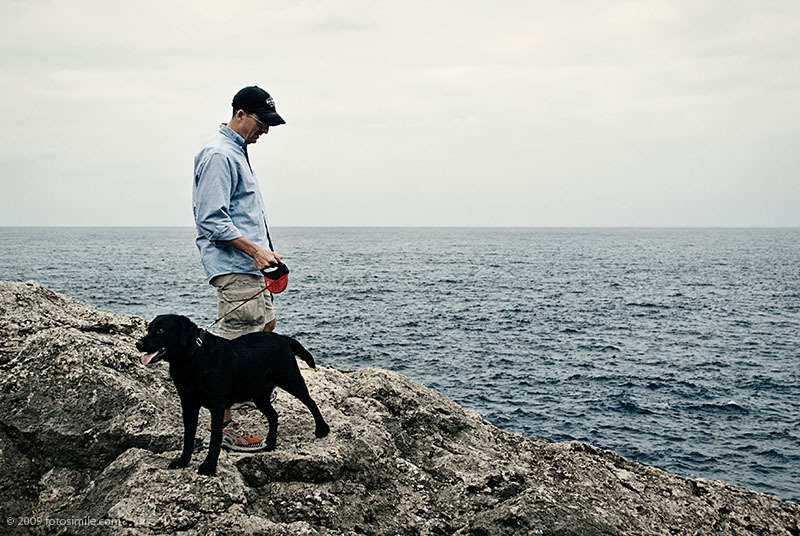 Nabbed this shot of my brother and his dog, Saki, on Cape Zampa, Okinawa, during my recent trip there. While not a great shot, and the conditions that day not great either, I do like the overall feel and the position of the subjects. Scenic Cape Zampa, located on the Yomitan Peninsula, overlooks the East China Sea and is the location for a picturesque lighthouse that you can climb to the top of for better views up and down the rugged coast.